Description: This no sew craft was originally inspired by Pottery Barn’s holiday chair decor, and is a great way to hold your family’s and friend’s Valentines. 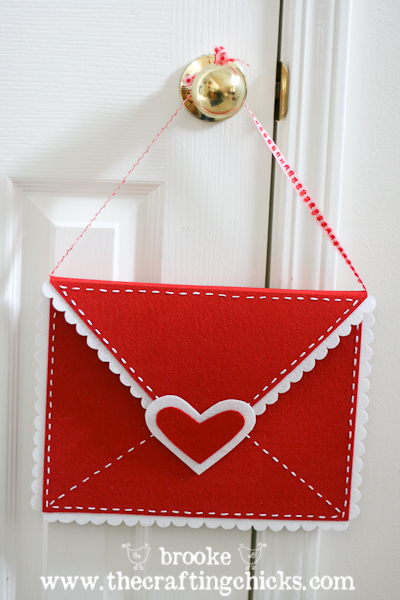 Craft includes materials to make two envelopes and printables to write how many ways you love the recipient! Register for January’s gathering by Wednesday, January 23, 2013 . You will receive a confirmation email within 48 hours of registering. Already have plans? This craft is available as a kit and will include instructions and all of the supplies except the for scissors and glue.